1.1. Name. 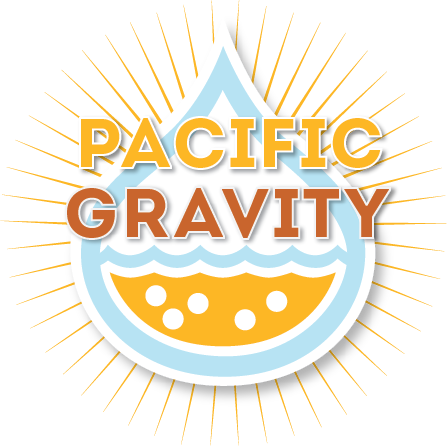 The name of this corporation (the “Corporation”) is Pacific Gravity Homebrewers Club. The Corporation is a California nonprofit public benefit corporation. 1.2. Offices. The principal office for the transaction of the activities and affairs of the Corporation shall be located in the state of California and shall be established by the Board (as defined in Section 3.1). The Board may from time to time, in its discretion, change the location of the Corporation’s principal office. Any change in the location of the Corporation’s principal office must be noted by the Secretary of the Corporation in the minute books of the Corporation. 1.3. Purposes. The Corporation is organized for educational purposes. The purposes of the Corporation are as follows: (a) to educate both Associates (as defined in Section 2.3) and the general public about the hobby of homebrewing; (b) to advance the art, science and appreciation of homebrewing; (c) to promote awareness and appreciation of the quality and variety of home-brewed beverages; and (d) to explore and improve methods of making home-brewed beverages. 1.4. Dedication of Assets. The Corporation’s assets are irrevocably dedicated to educational purposes. No part of the net earnings, properties, or assets of the Corporation, on dissolution or otherwise, shall inure to the benefit of any private person or individual, or to any Board Member (as defined in Section 3.3) or officer of the Corporation. On liquidation or dissolution, all properties and assets remaining after payment, or provision for payment, of all debts and liabilities of the Corporation shall be distributed to a nonprofit fund, foundation, or corporation that is organized and operated exclusively for charitable and/or educational purposes, that has established its tax-exempt status under Section 501(c)(3) of the Internal Revenue Code, and whose activities will, to the extent possible, further the purposes of the Corporation set forth in Section 1.3. 2.1. No Voting Members. The Corporation shall have no voting members within the meaning of the California Nonprofit Corporation Law. The Board may, in its discretion, admit individuals to one or more classes of non-voting members, and such class or classes shall have such rights and obligations as the Board finds appropriate. Any action that would otherwise require approval by a majority of all members or approval by the members under the California Nonprofit Corporation Law shall require only the Board’s approval. All rights that would otherwise vest in the members under the California Nonprofit Corporation Law shall vest in the Board. 2.2. Rights Conferred upon Non-Members. Nothing in these Bylaws shall be construed as limiting the right of the Corporation to refer to Associates (as defined in Section 2.3) or to other persons associated with the Corporation as “members,” even though such persons are not members, and no such reference shall constitute anyone a member, within the meaning of Section 5056 of the California Nonprofit Corporation Law. The Corporation may confer, by amendment of its Articles of Incorporation or these Bylaws, some or all of the rights of a member, as set forth in the California Nonprofit Corporation Law, upon any person or persons who are not members under Section 5056 of the California Nonprofit Corporation Law, but no such person or entity shall be a member within the meaning of Section 5056 of the California Nonprofit Corporation Law. 2.3. Associates. Any person who is over the legal age required to consume alcoholic beverages in the state of California may become an “Associate” of the Corporation upon satisfaction of such reasonable, non-discriminatory requirements as may be established by the Board from time to time, including (without limitation) the following: (a) furnishing proof that he/she has reached the legal age required to consume alcoholic beverages in the state of California, (b) signing an acknowledgment that he/she has received and reviewed, and agrees to abide by, the Articles of Incorporation, these Bylaws, and any other applicable rules governing the conduct of Associates, (c) paying annual dues in an amount reasonably established by the Board, and (d) furnishing appropriate contact information to the Corporation. The Corporation shall not discriminate against any person who wishes to become an Associate on the basis of race, gender, religion, national or ethnic origin, mental or physical disability, or sexual orientation. 2.4 Removal and Reinstatement of Associates. An Associate may be removed by the Corporation pursuant to the following procedure. At least three (3) Associates must submit to the Board and sign a written complaint requesting removal of the Associate in question (the “Accused Associate”). Such written complaint shall allege that the continued inclusion of the Accused Associate would be materially detrimental to the Corporation and/or the other Associates and shall set forth, in reasonable detail, the circumstances or events supporting such allegation (for example, acts of physical violence towards other Associates, acts of dishonesty or moral turpitude, irresponsible behavior, or willful disregard of the Corporation’s policies or these Bylaws). Such complaint shall be considered at the next scheduled regular meeting of the Board or at a special meeting of the Board called for that specific purpose. The Board shall notify the Accused Associate of the charges that have been presented and the date, time, and place of such meeting. At such meeting, the Associates who have requested removal of the Accused Associate shall have the right to appear and present their allegations, and the Accused Associate shall have the right to appear and respond to such allegations. The Board shall then have the right to vote upon removal of the Accused Associate, and the vote of at least two-thirds of the acting Board Members shall be required to remove the Accused Associate. If the Accused Associate is also a Board Member, then his/her vote shall be excluded from the number of votes required. The decision of the Board under this Section 2.4 shall be final and non-appealable. An Accused Associate who has been removed may, after six months have transpired, apply to the Corporation for reinstatement, and shall be reinstated if at least two-thirds of the acting Board Members approve such reinstatement. 2.5 Associates’ Responsibility for Actions; Release; No Personal Liability. Any person who becomes an Associate acknowledges and agrees that his/her participation in the Corporation is strictly voluntary, and that participation in events or activities hosted by, sponsored by, or promoted by the Corporation, or in which the Corporation participates (collectively, “Corporation Activities”) may involve the consumption of alcoholic beverages, which may affect both his/her perception, reactions, and behavior as well of the perception, reactions, and behavior of other participants. Each Associate (a) accepts, on behalf of himself/herself and his/her guests and invitees, sole responsibility and all liability for his/her/their conduct, behavior, and actions at any Corporation Activity, and (b) releases and relinquishes the right to make any claim against the Corporation, any Board Member, or any other Associate of the Corporation in connection with any Corporation Activity. No Board Member or Associate shall be personally liable for any loss, damage, debt, obligation, liability, action, claim, proceeding, judgment, cost, or expenses of any kind or nature whatsoever (collectively, “Losses”), to the extent such Losses arise out of the conduct, behavior, and actions of any other person at any Corporation Activity. Further, the debts, obligations, and liabilities of the Corporation (whether arising in contract, tort or otherwise) shall be solely the debts, obligations and liabilities of the Corporation, and no Board Member or Associate shall be obligated personally for any debt, obligation or liability of the Corporation solely by reason of being a Board Member or Associate. The Corporation may, at the Board’s discretion, require Associates to enter into additional agreements (for example, release forms or waivers for specific events) in order to effectuate the provisions of this Section 2.5. 2.6. Matters Subject to Associates’ Vote. Associates will be entitled to vote only upon the following matters: (a) amendments to the Articles of Incorporation; (b) ratifying the adoption of these Bylaws; (c) any amendments to these Bylaws in accordance with Section 5.8 (except for amendments to these Bylaws that may adopted by the Board without Associate approval, as specified herein); (d) election of the Elected Board Members (as defined in Section 3.5(a)); (e) the disposition of all or substantially all of the Corporation’s assets; (f) any merger involving the Corporation, and the principal terms of such merger (or any amendment to such principal terms); (g) any election to dissolve the Corporation; (h) such other matters upon which a vote of the Associates is required by law; (i) any matter for which a special meeting of Associates is duly held and properly noticed pursuant to Section 2.12; and (k) such other matters as shall be submitted by the Board, in its discretion, to the Associates for a vote. All other matters shall be determined by the Board. Notwithstanding the foregoing, the Board shall endeavor to seek the approval of the Associates for any major decision concerning the Corporation. 2.7. Voting by Associates. Each Associate shall be entitled to one vote on any matter placed before the Associates for a vote. Associates may not vote by proxy or absentee ballot at any meeting. Voting on any matter other than election of Elected Board Members may be by a show of hands or by written ballot. Voting on election of Elected Board Members shall be conducted as set forth in Section 2.8. (a) Purpose; Scheduling. A meeting (the “Annual Meeting”) of the Associates for the election of Elected Board Members, and for any other proper purpose, shall be held each year during either the month of October or the month of November. The Board shall set the exact date, time, and place of the Annual Meeting. Notice of the Annual Meeting shall be given in accordance with Section 2.11. (b) Voting Procedure. At the Annual Meeting, candidates for the Elected Board Member positions may (if they so desire) present brief speeches and/or respond to Associates’ questions. Then, the Associates shall vote for the Elected Board Members by confidential written ballot (if there are multiple candidates for any Elected Board Member position) or by a show of hands (if there is only one candidate for all Elected Board Member positions). Each Associate will be entitled to vote for only one candidate for each Elected Board Member position. (c) Tabulation of Votes. The Board shall appoint two trustworthy persons who are not candidates in such election to count the votes submitted by Associates. Elected Board Members shall be elected by a plurality of the votes of the Associates present in person at the Annual Meeting; the candidate with the most votes for each Elected Board Member position will be elected, even if such candidate received less than half of the total votes. There will be no run-off elections except in the event of a tie vote. 2.9. Other Meetings of Associates. Meetings of the Associates for any purpose other than the election of Elected Board Members shall be held at such locations and at such dates and times as may be fixed by the Board. Notice of meetings of the Associates shall be given in accordance with Section 2.11. The Board shall call a meeting of the Associates at least once every two months (but shall endeavor to call at least one meeting each month). Any matter submitted to the Associates for a vote, other than the election of Elected Board Members, shall be decided by the affirmative vote of the majority of Associates present in person at the meeting and entitled to vote on such matter (unless otherwise required by law, by the Articles of Incorporation, or by these Bylaws). 2.10. Quorum for Meetings of Associates. If the Associates are entitled to vote on any matter pursuant to Section 2.6, the presence in person of at least 20 Associates at the meeting during which such vote is taken shall constitute a quorum (except as otherwise required by law, by the Articles of Incorporation, or by these Bylaws). In case a quorum shall not be present at any meeting, the Board shall have the power to adjourn the meeting from time to time, without notice other than announcement at the meeting, until the requisite amount of Associates shall be present in person. At any such adjourned meeting at which the requisite number of Associates shall be present in person, any business may be transacted which might have been transacted at the meeting as originally noticed. No meeting of the Associates may be adjourned for more than 45 days. 2.11. Notices of Meetings of Associates. (a) Means of Furnishing Notice. The Board shall use reasonable efforts to notify the Associates of any upcoming Associates meeting at least ten days before such meeting. The Board may select any reasonable means of furnishing such notice (for example, electronic mail, announcement at a prior Associates meeting, posting on the Corporation’s website, inclusion in the Corporation’s newsletters, or posting via any other media accessible to Associates). (b) Contents of Notice. The notice of any meeting of the Associates shall set forth (i) a list of any matters that the Board intends to present for action by the Associates at such meeting; (ii) the Board’s anticipated agenda of other matters to be discussed at such meeting; (iii) in the case of the Annual Meeting or any meeting at which Elected Board Members are to be elected, a list of all persons who are candidates for each Elected Board Member position at the time of such notice; and (iv) any other notices required by law, by the Articles of Incorporation, or by these Bylaws (for example, the matters set forth in Section 2.11(c)). However, the matters discussed and voted upon at such meeting shall not be limited to the matters set forth in the notice of the meeting (subject to Section 2.11(c)). Nonetheless, the Board shall endeavor (but shall not be required) to postpone to a later meeting any vote of Associates on any major matter, so that the Board may include such major matter on the agenda and notify the Associates that such matter will be voted upon. (c) Matters for which Specific Notice is Required. Approval by the Associates of any of the following proposals is valid only if the notice of the meeting states, in reasonable detail, the nature of the proposal or proposals: (i) removing a Board Member (with or without cause); (ii) filling vacancies in Elected Board Member positions; (iii) amending the Articles of Incorporation or these Bylaws (except for amendments to these Bylaws that may adopted by the Board without Associate approval, as specified herein); (iv) disposing of all or substantially all of the Corporation’s assets; (v) approving any merger involving the Corporation, and the principal terms of such merger (or amending such principal terms); or (vi) electing to wind up and dissolve the Corporation. 2.12. Special Meetings of Associates. Special meetings of the Associates for any lawful purpose may be called by the President or by a majority of the Board Members, and shall be called at the request in writing of at least 30 Associates. Any request by the Associates for a special meeting shall state, in reasonable detail, the nature of the business proposed to be transacted at the proposed special meeting, and shall be delivered to any Board Member. Any Board Member receiving a request for a special meeting of the Associates shall refer the matter to the Board at the next scheduled regular meeting of the Board, at which time the Board shall determine whether the request for special meeting satisfies (or does not satisfy) the requirements of this Section 2.12. If the Board determines that the request for a special meeting does not satisfy the requirements of this Section 2.12, then the minutes of the Board shall reflect the specific reasons supporting such determination, and notice of such determination (and the reasons therefor) shall be sent (via electronic mail, facsimile, or U.S. mail) to the persons who requested such special meeting. If the Board determines that the request for a special meeting satisfies the requirements of this Section 2.12, then the Board shall cause notice to be given promptly to the Associates, in accordance with Section 2.11, stating that a special meeting of the Associates will be held at a specified date, time and place fixed by the Board. The date of the special meeting shall be at least 30 days, but no more than 90 days, after the request for the special meeting is received. Nothing in this Section shall be construed as limited, fixing, or affecting the time at which a meeting of the Associates may be held when the meeting is called by the Board. No business, other than the business that was set forth in the notice of the meeting, may be transacted at a special meeting of the Associates. 2.13. Action by Associates Without Meeting. Except as otherwise required by law, by the Articles of Incorporation, or by these Bylaws, any action that may be or is required to be taken at an Associates’ meeting may be taken without a meeting, without prior notice and without a vote, if a consent or consents in writing, setting forth the action so taken, shall be signed by at least the minimum number of Associates whose approval would be necessary to authorize or take such action at a meeting at which all Associates were present and voted. Such written consents shall be delivered to the Secretary of the Corporation. Every written consent shall bear the date of signature of each Associate who signs the consent, and no written consent shall be effective to take the action referred to therein unless, within 60 days after the earliest dated consent delivered in the manner required by this Section to the Corporation, written consents signed by a sufficient number of Associates are delivered to the Corporation in the manner required by this Section. 3.1. General Powers; Delegation. Except as otherwise required by law, by the Articles of Incorporation, or by these Bylaws, the activities and affairs of the Corporation shall be conducted, and all corporate powers shall be exercised, by or under the direction of a Board (the “Board”). The Board may delegate the management of the activities of the Corporation to any person or persons, a management company, or committees however composed, provided that the activities and affairs of the Corporation shall be managed and all corporate powers shall be exercised under the ultimate direction of the Board. 3.2. Specific Powers. Without prejudice to the general powers of the Board (but subject to any applicable limitations imposed by law, contained in the Articles of Incorporation, or contained in these Bylaws), the Board shall have the following powers: (a) to appoint and remove, at the pleasure of the Board, any corporate officers, agents, and employees (other than Elected Board Members), to prescribe powers and duties for them as are consistent with the law, the Articles of Incorporation, and these Bylaws, to fix their compensation (subject to any applicable limitations imposed by law, contained in the Articles of Incorporation, or contained in these Bylaws), and to require from them reasonable assurances for faithful service; (b) to conduct, manage, and control the affairs and activities of the Corporation and to make such rules and regulations therefor not inconsistent with the law, the Articles of Incorporation, or these Bylaws; (c) to adopt, make, and use a corporate seal and to alter the form of such seal; (d) to borrow money and incur indebtedness on the Corporation’s behalf and to cause to be executed and delivered for the Corporation’s purposes, in the name of the Corporation, promissory notes, bonds, debentures, deeds of trust, mortgages, pledges, hypothecations, and other evidences of debt and securities; and (e) to carry on a business or activity at a profit and apply any profit that results from such business or activity to any proper purpose of the Corporation. 3.3. Number of Board Members. The authorized number of directors (“Board Members”) shall be not less than five nor more than nine, until changed by amendment of the Articles of Incorporation or these Bylaws. The exact number of Board Members shall be fixed, within the limits specified, by a resolution adopted by the Board. It is anticipated (but not required) that Board Member positions will be added or eliminated in order to enable the Board to delegate (or retain) to other Associates the responsibility to act as a director or coordinator for one or more specific aspects of the Corporation’s business (for example, special events, fundraising, or communications). No reduction in the authorized number of Board Members shall have the effect of removing any Board Member before such Board Member’s term of office expires. 3.4. Qualifications for Board Members. All Board Members must be Associates of the Corporation when elected and throughout their term as Board Members. If any Board Member ceases to be an Associate of the Corporation, such Board Member shall automatically, without further action, be removed from the Board, and the resulting vacancy shall be filled in accordance with Section 3.8. 3.5. Election, Appointment, and Terms of Office. (a) Categories of Board Members. The Corporation shall have two categories of Board Members: Elected Board Members and Appointed Board Members. The “Elected Board Members” shall be the Corporation’s President, Vice President, and Treasurer. The “Appointed Board Members” shall be (i) the Corporation’s Secretary and (ii) such other Board Member positions as the Elected Board Members shall, in their reasonable discretion, deem necessary or appropriate in order to enable the Corporation to conduct its affairs. (b) Election and Appointment. The Elected Board Members shall be elected by the Associates at the Annual Meeting in accordance with Section 2.8. Within one month after their election, the Elected Board Members shall appoint between two and six Appointed Board Members, with such titles and duties as the Elected Board Members shall, in their reasonable discretion, deem appropriate; provided that at least one of the Appointed Board Members shall be the Corporation’s Secretary. For calendar year 2014, there shall be three Appointed Board Members: the Secretary, the Competition Coordinator, and the Fundraising Director. (c) Term of Office. Each Board Member shall serve a term of one year (beginning on January 1 and ending on December 31), or until his/her successors have been elected (or appointed) and duly qualified. (d) Nominations. Any individual may nominate himself/herself for a Board Member position or may be nominated by another Associate. Nominations for Elected Board Members shall be open for at least two months before the Annual Meeting is held. No individual may hold more than one Board Member position at any particular time. Board Members shall be eligible for re-election to the Board, and there is no limit on the number of consecutive terms that a person may serve as a Board Member. All nominees for election or appointment to the Board must be Associates when nominated, and must be expected to be Associates throughout their terms on the Board. (e) Limitation on Expenditures. No funds of the Corporation may be expended to support any candidate for any Board Member position. 3.6. Resignation of Board Members. Any Board Member, officer, or committee member may resign (except as provided below) at any time by giving written notice to the President or Secretary. Such resignation shall be made in writing, and shall take effect at the time of its receipt by the President or Secretary (or, if the notice of resignation specifies a later time for the effectiveness of such resignation, then at such later time). The acceptance of a resignation shall not be necessary to make it effective. However, no Board Member may resign, except on notice to the California Attorney General, if the Corporation would be left without any duly elected or duly appointed Board Members. 3.7. Vacancies; Removal of Board Members. A vacancy or vacancies on the Board shall occur if (a) a Board Member resigns or dies; (b) the authorized number of Board Members is increased; (c) a Board Member ceases to be an Associate; (d) the Board adopts a resolution removing a Board Member who has been declared of unsound mind by court order, who has been convicted of a felony, or who has been found by a judgment of any court to have breached a duty under Sections 5230 through 5239 of the California Nonprofit Corporation Law; (e) the Associates fail, at any meeting at which one or more Board Members are to be elected, to elect the number of Elected Board Members required to be elected at such meeting; or (f) at least two-thirds of the Associates present in person at a duly held and properly noticed meeting of the Associates at which a quorum is present votes to remove a Board Member (with or without cause). In the case of a vacancy created under Section 3.7(f), the notice of the Associates’ meeting must set forth the proposed removal of the Board Member. 3.8. Filling of Board Vacancies. (b) Appointed Board Member Vacancies. Vacancies in any Appointed Board Member position shall be filled by a majority vote of the remaining Board Members at a duly held meeting of the Board, unless the Board determines, in its reasonable discretion, to eliminate the Appointed Board Member position in question; provided that (i) the Board may not eliminate an Appointed Board Member position if such elimination would reduce the total number of Board Members below the minimum required under Section 3.3, and (ii) the Board may not eliminate the position of Secretary. 3.9. Place of Board Meetings. Meetings of the Board shall be held at any place within or outside California that has been designated from time to time by the Board. In the absence of such designation, Board meetings shall be held at the principal office of the Corporation. Any Board meeting may be held by conference telephone, video screen communication, or other communications equipment. Participation by a Board Member in a meeting by such communications equipment shall constitute presence in person at the meeting if all of the following apply: (a) each Board Member participating in the meeting can communicate with all of the other Board Members concurrently; (b) each Board Member is provided the means of participating in all matters before the Board, including, without limitation, the capacity to propose, or to interpose an objection to, a specific action to be taken by the Corporation; and (c) the Board has adopted and implemented a means of verifying both (i) that a person communicating by telephone, video screen, or other communications equipment is a Board Member entitled to participate in the meeting; and (ii) all statements, questions, actions, or votes were made by that Board Member and not by another person not permitted to participate as a Board Member. Any Associate who is not a Board Member may attend (but not vote at) any meeting of the Board, in order to request that the Board address a topic of concern to such Associate, provided that such Associate (i) notifies the President or the Secretary that he/she wishes to attend such Board meeting and (ii) obtains the prior consent of at least two Board Members to his/her attendance at such Board meeting. 3.10 Notice of Regular Board Meetings. The President or Secretary shall, at least ten days before any regularly scheduled Board meeting, notify each Board Member of the date and time of such meeting. If the location of any regularly scheduled Board meeting is not specified in such notice, the President or Secretary shall, at least five days before such meeting, notify each Board Member of the location of such meeting. Notices to be given pursuant to this Section 3.11 shall be delivered by at least one of the following means: (a) personal delivery of written notice; (b) first-class mail, postage prepaid; (c) telephone, including a voice messaging system or other system or technology designed to record and communicate messages, either directly to the Board Member or to a person at the Board Member’s home or office who would reasonably be expected to communicate that notice promptly to the Board Member; (d) telegram; (e) facsimile; (f) electronic mail; or (g) other electronic means. All such notices shall be given or sent to the Board Member’s address, telephone number, facsimile number, or electronic mail address as shown on the Corporation’s records or as may have been given to the Corporation by the Board Member for the purposes of notice. The notice need not specify the purpose of the Board meeting. 3.11. Special Meetings of Board. Special meetings of the Board for any lawful purpose may be called by the President, by the Secretary, or by at least three Board Members. Notice of the date, time, and place of any special meeting of the Board shall be given to each Board Member by any of the means specified in Section 3.10. Notices by first-class mail shall be deposited in the United States mails at least five days before the time set for the special meeting. Notices given by personal delivery, telephone, telegram, facsimile, or electronic mail shall be delivered, given, or sent at least 48 hours before the time set for the special meeting. The notice shall state the date, time, and place of the special meeting. The notice need not specify the purpose of the special meeting. 3.12. Quorum for Board Meetings. A majority of the Board Members then serving shall constitute a quorum for the transaction of any business at a Board meeting except adjournment. Every action taken and decision made by a majority of the Board Members present at a duly held meeting at which a quorum is present shall be an act of the Board (except as otherwise required by law, by the Articles of Incorporation, or by these Bylaws); provided, however, that a Board meeting at which a quorum is initially present may continue to transact business, despite the withdrawal of some Board Members, if any action taken or decision made is approved by at least a majority of the required quorum for that Board meeting. 3.14. Waiver of Notice. Notice of a Board meeting need not be given to any Board Member who signs a written waiver of notice, a written consent to the holding of the Board meeting, or a written approval of the minutes thereof (whether before or after the meeting), or who attends the Board meeting without protesting, prior thereto or at its commencement, the lack of notice to such Board Member. All such waivers, consents, and approvals shall be filed with the corporate records or made a part of the minutes of the meetings. 3.15. Adjournment of Board Meetings. A majority of Board Members present, whether or not a quorum is present, may adjourn any Board meeting to another time and place. Notice of the time and place of holding an adjourned meeting need not be given to absent Board Members if the time and place are fixed at the meeting adjourned, except as provided in the next sentence. If the meeting is adjourned for more than 24 hours, notice of any adjournment to another time or place shall be given, before the adjourned meeting is resumed, to each Board Member who was absent at the time of adjournment. 3.16. Rights of Inspection. Every Board Member shall have the absolute right at any reasonable time to inspect and copy all books, records, and documents of every kind and to inspect the physical properties of the Corporation. 3.17. Committees of Board. The Board may appoint one or more committees, each consisting of two or more Board Members, to serve at the pleasure of the Board. Appointments to committees of the Board shall be by majority vote of the Board Members then in office. The Board may appoint one or more Board Members as alternate members of any such committee, who may replace any absent member at any meeting. The Board may delegate to any such committee any of the authority of the Board, to the extent provided in the Board resolution creating such committee, except with respect to the following matters: (a) the approval of any action that, under the California Nonprofit Corporation Law, under the Articles of Incorporation, or under these Bylaws, requires the approval of the Associates or the approval of a majority of all Board Members; (b) the filling of vacancies on the Board or on any committee; (c) the amendment or repeal of these Bylaws or the adoption of new Bylaws; (d) the amendment or repeal of any resolution of the Board which by its express terms is not amendable or repealable; (e) the creation of any other committees of the Board or the appointment of the members of any committees of the Board; and (f) the approval of any contract or transaction to which the Corporation is a party and in which one or more Board Members has a material financial interest, except as provided for in Section 5233(d) of the California Nonprofit Corporation Law. Meetings and actions of committees of the Board shall be governed by, held, and taken under the provisions of these Bylaws concerning meetings and other Board actions, except that the time for general meetings of such committees and the calling of special meetings of such committees may be set either by Board resolution or, if none, by resolution of the committee. Minutes of each committee meeting shall be kept and shall be filed with the Corporation’s records. The Board may adopt rules for the governance of any committee as long as such rules are consistent with these Bylaws; if the Board has not adopted such rules, then the committee may do so. 3.18. Action by Board or Committee Without Meeting. Except as otherwise required by law, by the Articles of Incorporation, or by these Bylaws, any action that may be or is required to be taken at a Board meeting or committee meeting may be taken without a meeting if a consent or consents in writing, setting forth the action so taken, shall be signed by all Board Members or committee members; provided, however, that the consent of any Board Member or committee member who has a material financial interest in a transaction to which the Corporation is a party and who is an “interested director” (as defined in Section 5233 of the California Nonprofit Corporation Law) shall not be required for approval of that transaction (and such Board Member’s or committee member’s vote shall not be counted for such purposes). Such action by written consent shall have the same force and effect as any other validly approved action of the Board or committee. All such consents shall be filed with the minutes of the proceedings of the Board or committee. 3.19. Compensation. Board Members, committee members, and officers shall serve without compensation. Board Members, committee members, and officers may receive such reimbursement for expenses incurred on behalf of the Corporation as may be fixed or determined by the Board to be just and reasonable. 4.1. Election, Appointment, and Terms of Office. (a) Categories of Officers. The Corporation shall have two categories of officers: officers who are also Board Members and officers who are not Board Members. The President, Vice President, Treasurer, Secretary, and other Appointed Board Members shall be both officers and Board Members, and shall be entitled to cast votes at Board meetings. The other officers shall not be Board Members, and shall be entitled to participate in Board meetings, but shall not be entitled to cast votes at Board meetings. (b) Election and Appointment of Board Member-Officers. The President, Vice President, and Treasurer shall be elected by the Associates at the Annual Meeting, as set forth in Sections 2.8 and 3.5 (or, in the case of a vacancy, such vacancy shall be filled in accordance with Section 3.8). The Secretary and the other Appointed Board Members shall be appointed by the Board, as set forth in Section 3.5(b). (c) Appointment of Non-Board Officers. The Board, by vote of a majority of Board Members then in office, may appoint, and may empower the President to appoint, such other officers as the business of the Corporation may require, each of whom shall hold office for such period, have such title, have such authority, and perform such duties as are provided in these Bylaws or as a majority of the Board Members then in office may from time to time determine. Any number of offices may be held by the same person, except that no individual may hold more than one Board Member position at any particular time. (d) Term of Office. Each officer shall serve a term of one year (beginning on January 1 and ending on December 31), or until his/her successors have been elected (or appointed) and duly qualified. (e) Qualifications for Officers. All officers must be Associates of the Corporation when elected or appointed and throughout their term as officers. If any officer ceases to be an Associate of the Corporation, such officer shall automatically, without further action, be removed from his/her office, and the resulting vacancy shall be filled in accordance with Section 4.4. 4.2. Resignation of Officers. Any officer may resign (except as provided in Section 3.6) at any time by giving written notice to the President or Secretary. Such resignation shall be made in writing, and shall take effect at the time of its receipt by the President or Secretary (or, if the notice of resignation specifies a later time for the effectiveness of such resignation, then at such later time). The acceptance of a resignation shall not be necessary to make it effective. 4.3. Vacancies; Removal of Officers. A vacancy or vacancies in any office shall occur if (a) an officer resigns or dies; (b) an officer ceases to be an Associate; (c) the Board adopts a resolution removing an officer who has been declared of unsound mind by court order, who has been convicted of a felony, or who has been found by a judgment of any court to have breached a duty under Sections 5230 through 5239 of the California Nonprofit Corporation Law; (d) in the case of any officer who is not a Board Member, a majority of the Board Members then in office votes to remove such officer (with or without cause); (e) in the case of any officer who is a Board Member, the Associates fail, at any meeting at which one or more Board Member-officers are to be elected, to elect the Board Member-officers required to be elected at such meeting; or (f) in the case of any officer who is a Board Member, such Board Member is removed from office pursuant to Section 3.7. 4.4. Filling of Vacancies. Vacancies in any office resulting from any event specified in Section 4.3 shall be filled as follows. If the vacancy is in a Board Member-office, then the vacant office shall be filled as set forth in Section 3.8. If the vacancy is in any other office, then the Board may opt not to fill the vacancy, or the vacancy may be filled by a vote of a majority of the Board Members present at a duly held meeting at which a quorum is present. Each officer so selected or appointed shall hold office until the expiration of the term of the replaced officer. 4.5. President. The President shall be the chief executive officer and general manager of the Corporation and shall supervise, direct, and control the activities, affairs, and officers of the Corporation. The President shall also have such other powers as are usually vested in the office of the President of a Corporation and such other powers and duties as the Board or these Bylaws may require. The President shall preside at all Board meetings and all meetings of Associates if present thereat. 4.6. Vice President. The Vice President shall assist the President in carrying out his/her duties, shall assist the other officers of the Corporation in organizing and coordinating Corporation Activities, and shall have such other powers and duties as the Board or these Bylaws may require. If the President is absent or disabled, the Vice President shall perform all duties of the President (for example, presiding over Board meetings and meetings of Associates). When so acting, the Vice President shall have all powers of, and be subject to all restrictions on the powers of, the President. 4.7. Treasurer. The Treasurer is the chief financial officer of the Corporation. The Treasurer shall keep and maintain, or cause to be kept and maintained, adequate and correct books and accounts of the Corporation’s properties and transactions. The Treasurer shall give, or cause to given, to the Board and the Associates such financial statements and reports as are required to be given by law, by the Articles of Incorporation, by these Bylaws, or by the Board. The Corporation’s books of account shall be open for inspection by any Board Member or Associate at all reasonable times, upon reasonable advance notice to the Treasurer (subject to the limitations set forth in Section 5.5). The Treasurer shall (a) deposit, or cause to be deposited, all money and other valuables in the name of and to the credit of the Corporation with such depositories as the Board shall designate; (b) disburse the Corporation’s funds as the Board may order; (c) render to the President and the Board, when requested, an account of all transactions as Treasurer and of the financial condition of the Corporation; (d) prepare the Corporation’s annual budget; (e) oversee the preparation and filing of any tax-related documents that might be required of the Corporation; and (f) have such other powers and duties as the Board or these Bylaws may require. If both the President and the Vice President are absent or disabled, the Treasurer shall perform all duties of the President and Vice President (for example, presiding over Board meetings and meetings of Associates). When so acting, the Treasurer shall have all powers of, and be subject to all restrictions on the powers of, the President and Vice President. 4.8. Secretary. The Secretary of the Corporation shall keep, or cause to be kept, a book of minutes of all meetings, proceedings, and actions of the Board, of committees of the Board, and of meetings of Associates. The minutes of meetings shall include the time and place that the meeting was held; whether the meeting was annual, general, or special, and, if special, how authorized; the notice thereof given; the names of those present at Board and committee meetings; and the number (or approximate number) of Associates present at Associates’ meetings. Within a reasonable time after any Board meeting or Associates meeting, the Secretary shall endeavor (but shall not be required) to make the minutes of such meeting available to the Associates by any reasonable means (for example, electronic mail, announcement at a prior meeting, posting on the Corporation’s website, inclusion in the Corporation’s newsletters, or posting via any other media accessible to Associates). The Secretary shall keep, or cause to be kept, a copy of the Articles of Incorporation and these Bylaws, as amended to date. The Secretary shall give, or cause to be given, notice of all meetings of Associates, of the Board, and of committees of the Board, to the extent that such notice is required to be given by law, by the Articles of Incorporation, or by these Bylaws. The Secretary shall keep the corporate seal (if any) in safe custody, and shall have such other powers and duties as the Board or these Bylaws may require. 4.9. Assistant Treasurers. Each Assistant Treasurer, if any is appointed, shall have such powers and duties as the Board or these Bylaws may require. If the Treasurer is absent or disabled, the Assistant Treasurers shall perform all duties of the Treasurer. When so acting, the Assistant Treasurers shall have all powers of, and be subject to all restrictions on the powers of, the Treasurer. 4.10. Assistant Secretaries. Each Assistant Secretary, if any is appointed, shall have such powers and duties as the Board or these Bylaws may require. If the Secretary is absent or disabled, the Assistant Secretaries shall perform all duties of the Secretary. When so acting, the Assistant Secretaries shall have all powers of, and be subject to all restrictions on the powers of, the Secretary. 4.11 Other Officers. Other officers of the Corporation, if any are appointed, shall have such powers and duties as the Board or these Bylaws may require. 5.1. Contracts with Board Members and Officers; Conflict of Interest Policy. No Board Member or officer, nor any other corporation, firm, association, or other entity in which one or more Board Members or officers are directors, officers, or have a material financial interest, shall be interested, directly or indirectly, in any contract or transaction with the Corporation unless (a) the material facts regarding such Board Member’s or officer’s financial interest in such contract or transaction or regarding such common directorship, officership, or financial interest are fully disclosed in good faith before the Board’s consideration of such contract or transaction and are noted in the minutes; (b) such contract or transaction is authorized in good faith by a majority of the Board by a vote sufficient for such purpose without counting the vote of the interested Board Member or officer; (c) before authorizing or approving the contract or transaction, the Board considers and in good faith decides after reasonable investigation that the Corporation could not obtain a more advantageous (to the Corporation) arrangement with reasonable effort under the circumstances; and (d) the Corporation for its own benefit enters into the contract or transaction, which is fair and reasonable to the Corporation at the time the contract or transaction is entered into. This Section does not apply to a transaction that is part of an educational or charitable program of the Corporation if it (i) is approved and authorized by the Corporation in good faith and without unjustified favoritism and (ii) results in a benefit to one or more Board Members or officers or their families because they are in the class of persons intended to be benefited by such educational or charitable program. The Board may, in its discretion, adopt a more specific conflict-of-interest policy in order to effectuate the provisions of this Section 5.1. 5.2. Loans to Board Members and Officers. The Corporation shall not lend any money or property to or guarantee any obligation of any Board Member, without the approval of the California Attorney General. However, the Corporation may advance money to a Board Member or officer of the Corporation for expenses reasonably anticipated to be incurred in the performance of his/her duties if such Board Member or officer would be entitled to reimbursement for such expenses by the Corporation. 5.3. Endorsement of Documents; Contracts. Subject to the requirements of law, of the Articles of Incorporation, or of these Bylaws, any note, mortgage, evidence of indebtedness, contract, conveyance, or other instrument in writing and any assignment or endorsement thereof executed or entered into between the Corporation and any other person, when signed by the President, the Vice President, or the Treasurer shall be valid and binding on the Corporation in the absence of actual knowledge on the part of the other person that the signing officer had no authority to execute the same. In addition, the Board may delegate to any other person (for example, a person responsible for organizing a certain Corporation Activity) the authority to sign any such instruments on behalf of the Corporation, in such manner as determined by the Board. The Board may also restrict any person’s authority to sign any such instrument (for example, by authorizing only the President, and no other person, to sign a particular instrument). Unless so authorized by these Bylaws or by the Board, no officer, agent or employee shall have any power or authority to bind the Corporation by any contract or engagement or to pledge its credit or to render it liable for any purpose or amount. 5.4. Representation of Shares of Other Corporations. The President or any other officer or officers authorized by the Board or the President are each authorized to vote, represent, and exercise, on behalf of the Corporation, all rights incident to any and all shares of any other corporation or corporations standing in the name of the Corporation. The authority herein granted may be exercised either by any such officer in person or by any other person authorized to do so by proxy or power of attorney duly executed by such officer. 5.5. Inspection Rights. On written demand on the Corporation, any Associate may inspect, copy, and make extracts of the accounting books and records and the minutes of the proceedings of the Associates, the Board, and committees of the Board at any reasonable time for a purpose reasonably related the Associate’s interest as an Associate of the Corporation. Any such inspection may be made in person or by the Associate’s agent or attorney. This right of inspection extends to the records of any subsidiary of the Corporation. However, the foregoing rights of inspection shall not extend to (a) any information disclosing personal or financial information of any Associate (for example, an Associate’s financial condition, gifts, or donations); (b) any records concerning personnel matters; or (c) any records concerning pending or anticipated litigation. The Corporation shall keep at its principal office a copy of the Articles of Incorporation and these Bylaws, as amended to date, which shall be open to inspection by any Associate at all reasonable times during office hours. The Secretary shall, on written request by any Associate, furnish to such Associate a copy of the Articles of Incorporation and these Bylaws, as amended to date. 5.6. Required Reports. The Board shall cause an annual report to be furnished or sent to each Board Member within 60 days after the end of the Corporation’s fiscal year. The report shall contain the following information, in reasonable detail: (a) the assets and liabilities, including the trust funds, of the Corporation as of the end of the fiscal year; (b) the principal changes in assets and liabilities, including trust funds, during the fiscal year; (c) the Corporation’s revenue or receipts, both unrestricted and restricted to particular purposes, for the fiscal year; (d) the Corporation’s expenses or disbursements for both general and restricted purposes during the fiscal year; and (e) any information required by Section 6322 of the California Nonprofit Corporation Law (concerning certain indemnifications by the Corporation, certain transactions with interested persons, and certain advances from the Corporation to any Board Member, officer, parent corporation, or subsidiary). This report shall be accompanied by any report thereon of independent accountants, or, if there is no such report, the certificate of the Treasurer that such statements were prepared without audit from the books and records of the Corporation. This annual report shall be provided to any Associate who sends a written request for such report to any Board Member. 5.7. Fiscal Year. The fiscal year of the Corporation shall run from January 1 through December 31 of each year. However, the Board may change the fiscal year of the Corporation, without approval of the Associates, from time to time. Any change in the Corporation’s fiscal year must be noted by the Secretary of the Corporation in the minute books of the Corporation. 5.8. Adoption of Bylaws; Amendments to Bylaws. These Bylaws shall be adopted when (a) a majority of the Board Members then in office approves these Bylaws, and (b) a majority of the Associates present in person at a duly held meeting of the Associates at which a quorum is present ratifies the adoption of these Bylaws. These Bylaws may be amended only when at least two-thirds of the Associates present in person at a duly held meeting of the Associates at which a quorum is present approve the proposed amendment (except for amendments to these Bylaws that may adopted by the Board without Associate approval, as specified herein). As set forth in Section 2.11(c), specific notice of any proposed amendment to these Bylaws (describing the proposed amendment in reasonable detail) must be included in the applicable notice of the meeting of Associates before any amendment may be voted upon. 5.9. Construction and Definitions. Unless the context requires otherwise, the general provisions, rules of construction, and definitions in the California Nonprofit Corporation Law shall govern the construction of these Bylaws. Without limiting the generality of the preceding sentence, the masculine gender includes the feminine and neuter, the singular includes the plural, the plural includes the singular, and the term “person” includes both a legal entity and a natural person. 6.1. Definitions. For the purposes of this Article VI, (a) “agent” means any person who is or was a Board Member, director, officer, employee, or other agent of the Corporation, or is or was serving at the request of the Corporation as a director, officer, employee, or other agent of another foreign or domestic corporation, partnership, joint venture, trust, or other enterprise, or was a director, officer, employee, or other agent of a foreign or domestic corporation which was a predecessor corporation of the Corporation or of another enterprise at the request of such predecessor enterprise; (b) “proceeding” means any threatened, pending, or completed action or proceeding, whether civil, criminal, administrative, or investigative; and (c) “expenses” includes without limitation attorneys’ fees and any expenses of establishing a right to indemnification under Sections 6.4 or 6.5(b). 6.2. Indemnification in Actions by Third Parties. To the fullest extent permitted by law, the Corporation shall have the power (but not the obligation) to indemnify any person who was or is a party or is threatened to be made a party to any proceeding (other than an action by or in the right of the Corporation to procure a judgment in its favor, an action brought under Section 5233 of the California Nonprofit Corporation Law, or an action brought by the Attorney General or a person granted relator status by the Attorney General for any breach of duty relating to assets held in charitable trust) by reason of the fact that such person is or was an agent of the Corporation, against expenses, judgments, fines, settlements and other amounts actually and reasonably incurred in connection with such proceeding, if such person acted in good faith and in a manner such person reasonably believed to be in the best interests of the Corporation and, in the case of a criminal proceeding, had no reasonable cause to believe the conduct of such person was unlawful. The termination of any proceeding by judgment, order, settlement, conviction or upon a plea of nolo contendere or its equivalent shall not, of itself, create a presumption that the person did not act in good faith and in a manner which the person reasonably believed to be in the best interests of the Corporation or that the person had reasonable cause to believe that the person’s conduct was unlawful. 6.3. Indemnification in Actions by or in the Right of the Corporation. To the fullest extent permitted by law, the Corporation shall have power (but not the obligation) to indemnify any person who was or is a party or is threatened to be made a party to any threatened, pending or completed action by or in the right of the Corporation, or brought under Section 5233 of the California Nonprofit Corporation Law, or brought by the Attorney General or a person granted relator status by the Attorney General for breach of duty relating to assets held in charitable trust, to procure a judgment in its favor by reason of the fact that such person is or was an agent of the Corporation, against expenses actually and reasonably incurred by such person in connection with the defense or settlement of such action, if such person acted in good faith, in a manner such person believed to be in the best interests of the Corporation and with such care, including reasonable inquiry, as an ordinarily prudent person in a like position would use under similar circumstances. However, no indemnification shall be made under this Section 6.3 (a) in respect of any claim, issue or matter as to which such person shall have been adjudged to be liable to the Corporation in the performance of such person’s duty to the Corporation, unless and only to the extent that the court in which such proceeding is or was pending shall determine upon application that, in view of all the circumstances of the case, such person is fairly and reasonably entitled to indemnity for the expenses which such court shall determine; (b) of amounts paid in settling or otherwise disposing of a threatened or pending action, with or without court approval; or (c) of expenses incurred in defending a threatened or pending action which is settled or otherwise disposed of without court approval, unless it is settled with the approval of the Attorney General. 6.4. Indemnification Against Expenses. To the extent that an agent of the Corporation has been successful on the merits in defense of any proceeding referred to in Section 6.2 or 6.3 or in defense of any claim, issue or matter therein, the agent shall be indemnified against expenses actually and reasonably incurred by the agent in connection therewith. 6.5. Required Determinations. Except as provided in Section 6.4, any indemnification under this Article VI shall be made by the Corporation only if authorized in the specific case, upon a determination that indemnification of the agent is proper in the circumstances because the agent has met the applicable standard of conduct set forth in Section 6.2 or 6.3, by (a) a majority vote of the Board Members then in office who are not parties to such proceeding; or (b) the court in which such proceeding is or was pending, upon application made by the Corporation or the agent or the attorney or other person rendering services in connection with the defense, whether or not such application by the agent, attorney or other person is opposed by the Corporation. 6.6. Advance of Expenses. Expenses incurred in defending any proceeding may be advanced by the Corporation prior to the final disposition of such proceeding, upon receipt of an undertaking by or on behalf of the agent to repay such amount, unless it shall be determined ultimately that the agent is entitled to be indemnified as authorized in this Article VI. Such advance of expenses shall not be considered a loan prohibited by Section 5.2. 6.7. Other Indemnification. No provision made by the Corporation to indemnify its Board Members or officers for the defense of any proceeding, whether contained in the Articles of Incorporation, these Bylaws, a resolution of the Board or the Associates, an agreement or otherwise, shall be valid unless consistent with this Article VI. Nothing contained in this Article VI shall affect any right to indemnification to which persons other than such Board Members and officers may be entitled by contract or otherwise. 6.8. Forms of Indemnification Not Permitted. No indemnification or advance shall be made under this Article VI, except as provided in Section 6.4 or 6.5(b), in any circumstance where it appears (a) that it would be inconsistent with a provision of the Articles of Incorporation, these Bylaws, a resolution of the Board or an agreement in effect at the time of the accrual of the alleged cause of action asserted in the proceeding in which the expenses were incurred or other amounts were paid, which prohibits or otherwise limits indemnification; or (b) that it would be inconsistent with any condition expressly imposed by a court in approving a settlement. 6.9. Insurance. The Corporation shall have the right (but not the obligation) to purchase and maintain insurance to the fullest extent permitted by law on behalf of its Board Members, officers, employees, and other agents, to cover any liability asserted against or incurred by any Board Member, officer, employee, or agent in such capacity or arising from the Board Member’s, officer’s, employee’s, or agent’s status as such. 6.10. Amendment or Repeal. Any amendment or repeal of the foregoing provisions of this Article VI shall not adversely affect any right or protection hereunder of any person in respect of any act or omission occurring prior to the time of such repeal or modification. 7.1. Applicability. The provisions of this Article VII shall be operative only during a national emergency declared by the President of the United States or the person performing the President’s functions, or in the event of a nuclear, atomic or other attack on the United States or on a locality in which the Corporation conducts its activities or customarily holds meetings of the Board, or during the existence of any disaster, catastrophe or other similar emergency condition making it impossible or impracticable for the Corporation to conduct its business without recourse to the provisions of this Article VII. Such provisions in such event shall override all other Bylaws or the Corporation in conflict with any provisions of this Article VII, and shall remain operative so long as it remains impossible or impracticable to continue the business of the Corporation otherwise, but thereafter shall be inoperative; provided that all actions taken in good faith pursuant to such provisions shall thereafter remain in full force and effect unless and until revoked by action taken pursuant to the provisions of these Bylaws other than those contained in this Article VII. 7.2. Unavailable Board Members. All Board Members who are not available to perform their duties as Board Members by reason of physical or mental incapacity or for any other reason or whose whereabouts are unknown shall automatically and temporarily cease to be Board Members, but only so long as such unavailability continues, with like effect as if such persons had resigned as Board Members. However, in the event any Board Member’s unavailability continues for a period of longer than six months, then such Board Member shall automatically and permanently be deemed to have resigned from the Board. 7.3. Authorized Number of Board Members. The authorized number of Board Members shall be the number of Board Members remaining after eliminating those who have ceased to be Board Members pursuant to Section 7.2. 7.4. Quorum. The number of Board Members necessary to constitute a quorum shall be a majority of the authorized number of Board Members after application of Section 7.3. 7.5. Board Members Becoming Available. Any person who has temporarily ceased to be a Board Member pursuant to the provisions of Section 7.2 and who thereafter becomes available to serve as a Board Member shall automatically resume performing the duties and exercising the powers of a Board Member unless the term of office of such person has expired in accordance with its original terms and a successor has been selected and qualified.